Preseason games in the NFL are not good football games. The best players don’t play. Between the mistakes made because they are knocking the rust off and the lower level of talent in the guys that do play, the quality of the football played is sub par at best. But it’s football. We’ve missed football. So, we watch it. Preseason action kicked off Thursday night in Canton, Ohio, with the Hall of Fame Game. Yes, this year the field was playable, unlike last season’s fiasco. 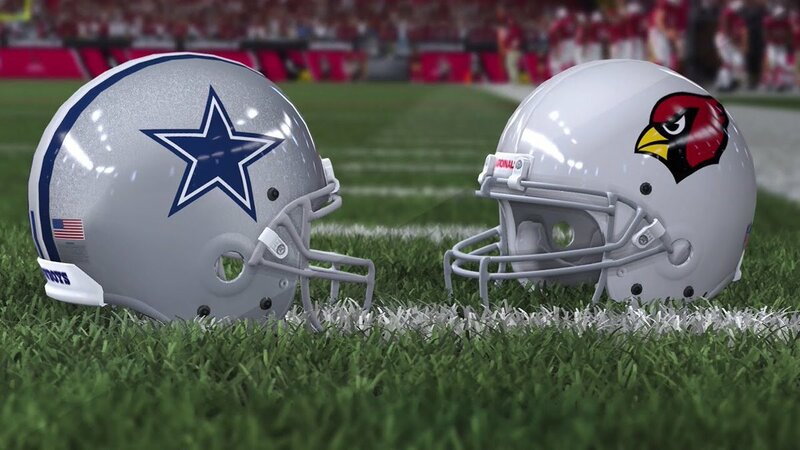 The Dallas Cowboys faced off against the Arizona Cardinals. If you actually care what the final score was—Dallas won 20-18. It wasn’t a pretty game. The refs certainly got a pretty good workout. There was a lot of bad play, but at the same time, there was a lot of good play, too. Of course, all observations must be taken with a grain of salt in preseason games due to the level of competition on the field. –The Dallas Cowboys may have a future tight end in Rico Gathers. He only had three catches for 59 yards and a touchdown, but his body position on his touchdown catch couldn’t have been better. The route he ran to get there wasn’t the prettiest thing in the world (it was downright ugly), but the catch was nice. To be fair, it’s hard to look graceful when you’re 6’6” and weigh in at 290 pounds. –Alfred Morris and Rod Smith looked pretty good; much better than Darren McFadden. Smith got the most work out of the Dallas running backs, and while he wasn’t great, he did get much better the longer he stayed in the game. Morris hasn’t generated a ton of talk in camp, but his spin move downfield on one run was a thing of beauty. To be fair to McFadden, he didn’t get to play much, so he didn’t have the opportunity to work the kinks out of his game. –La’El Collins is going to be just fine at right tackle. The Cardinals tried to bring some pressure, and he held up pretty well. Of course, the pressure was nothing like what he’ll see against the New York Giants in Week One or Denver Broncos in Week Two. –Taco Charlton was okay but needs to play better. He only played about 15 or 16 plays, and he did have some really good ones. But Dallas is going to need to see him be more consistent and reduce the rookie mistakes sooner rather than later. –Dallas saw someone go down early in the game they can’t afford to lose—defensive back Anthony Brown (hamstring). He was a pleasant surprise for the team last year and will be needed this season. But the word on his injury is that it isn’t major, but expect the team to give him more than enough time to heal before getting him back on the field. –Dallas may want to be on the lookout for a backup quarterback. Kellen Moore was dreadful early on but did improve in the second quarter after the Cardinals started taking out their better defenders, and the running game got going. Cooper Rush showed some promise, but he was going up against guys who will probably not be on the roster in a few weeks. This is not to say they need to bring someone in now. Moore and Rush were okay; just not good. To be fair, it’s pretty difficult for anyone to look good in the first preseason game. But if they want to be prepared in case Dak Prescott gets hurt, they may want to consider bringing in another quarterback if neither improves in the next couple of weeks. –Blaine Gabbert looked really good in the first half. To be fair, he didn’t play against the best the Cowboys have to offer, but considering his track record—if Blaine Gabbert looks good playing against your defense—even if it is second and third team guys –something’s not right. — Robert Nkemdiche might live up to the hype after all. After a stellar career at Ole Miss, the Cardinals made him a first-round pick last year. But his rookie season was a disappointment. However, with how he looked early on against Dallas, it appears he may have gotten his head out of his behind. He has plenty of work to do, but there I hope. 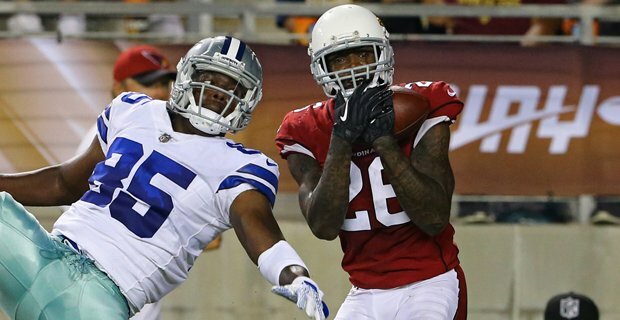 –Arizona is taking a chance by taking an outside linebacker in Haason Reddick and moving him inside as a rookie, but the experiment looked pretty decent Thursday night. It’s clear he has more to learn about his new position, but his athleticism and talent will help him make plays in the meantime. –Brandon Williams is going to be a player worth watching. 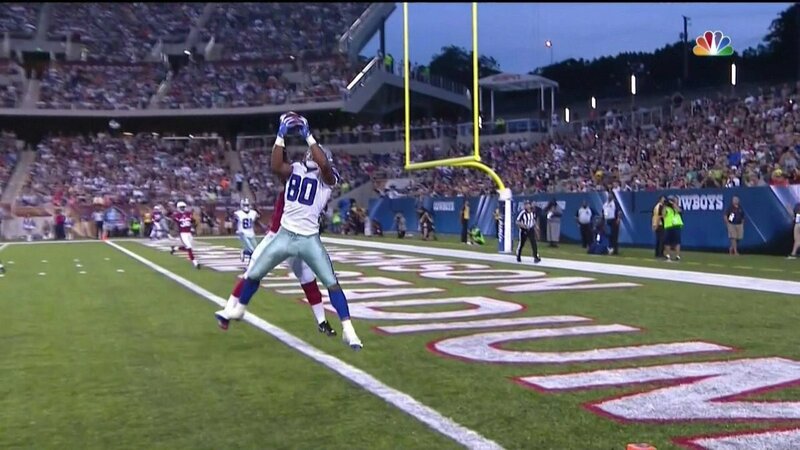 He got torched by Brice Butler a couple of times, but his interception in the end zone was pretty sweet. He wasn’t brilliant against the Cowboys, but he did show that there is something to work with there. –Arizona will be bringing in a couple of additional kickers in the next week. After having a horrible kicking game last season, they have a few guys in camp. More than likely, they stick with Phil Dawson, but his competition is already missing kicks. They might as well bring in some other guys. There are too many kickers available not to. –The Cardinals may have a steal on their hands in fifth round pick T.J. Logan. In what action he saw Thursday night, he looked good. But a wrist injury brought his night to an early end. The team has yet to announce how serious it is.